يشكل فندق Cavvanbah Beach House بموقعه الممتاز في قلب تاون سنتر نقطة انطلاق ممتازة لاستكشاف خليج بريون. يقع مركز المدينة المثير على بعد 0.05 Km فقط. يضفي محيط الفندق اللطيف وقربه من كيدز كلوب, ماين, بولونجيل سحراً خاصاً على هذا الفندق. استمتع بالخدمات الراقية والضيافة التي لا مثيل لها بهذا الفندق في خليج بريون. لضمان راحة ضيوفه، يقدم الفندق الخدمات التالية: واي فاي مجاني في جميع الغرف, أمن على مدار 24 ساعة, خدمة سيارات الأجرة, تسجيل وصول/خروج سريع, واي فاي في المناطق العامة . لقد جهزت هذه الإقامة الفندقية بعناية فائقة لتوفر مستوى عالي من الراحة. في بعض الغرف يجد النزيل إغلاق, خزنة, مناشف, سجاد, رف للملابس. إن حمام سباحة خارجي, حديقة هو المكان الأمثل في الفندق للاسترخاء وتفريغ طاقتك بعد نهار طويل. إن Cavvanbah Beach House هو خيار ذكي بالنسبة للمسافرين إلى خليج بريون، بما يوفره من إقامة هادئة ومرحة. 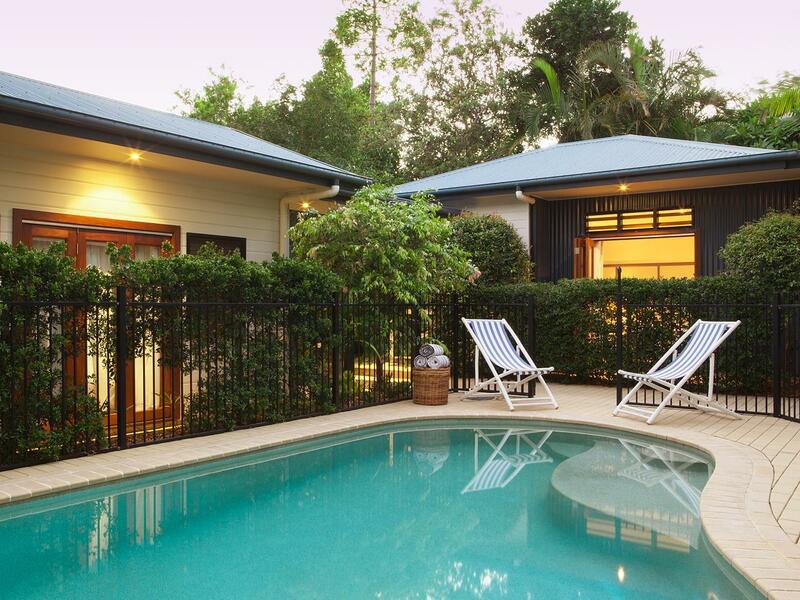 Lovely cottages very close to the beach and 10 min stroll into Byron. Great hosts - small touches like fresh muffins every day and milk in the fridge, great coffee etc make a huge difference. Would highly recommend! Lovely clean room, close to beach and cafes whilst being in quiet location on outskirts of busy town. Comfy bed with all amenities you could ever need! Topped off with homemade muffins for brekky! Wonderful stay! The owners of the property were exactly what you would hope for, respecting visitor privacy while catering to individual needs. We are both vegan, instead of this being an issue they prepared a gourmet breakfast. 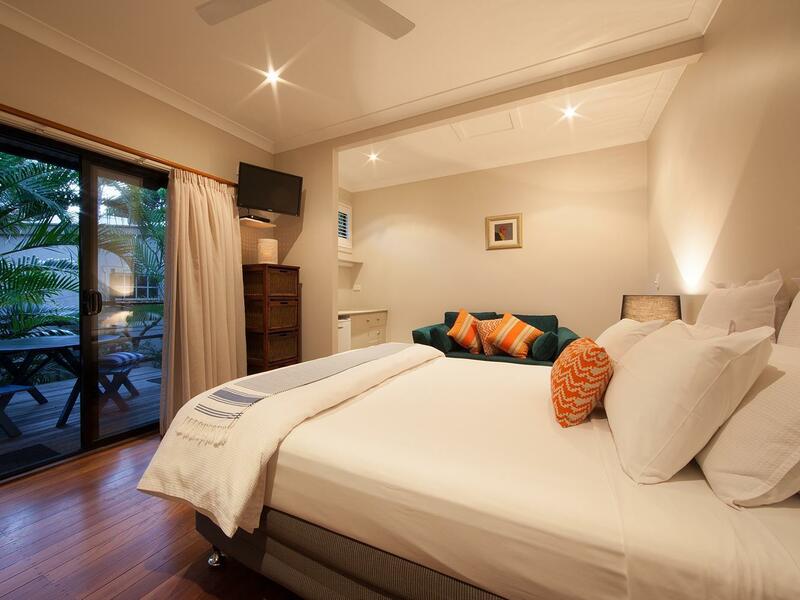 If you wish to stay somewhere meticulously clean and well presented Cavvanbah Beach House is a must. Love the location too. The location is great even thou we did have a little hard time looking for it as it was alittle hidden. However, the place was great! Nice cosy room with nice healthy breakfast served everyday. The host Jeff was great... totally enjoyed the stay! This place is divine, I wish I could live there, and will return asap. Small beach house, owners were very helpful and friendly, breakfast was more than adequate, bath was spacious. Overall a nice place to stay away from the hustle of the main area. Car definitely needed. Our hosts, the location, the quality and cleanliness of the rooms, the onsite parking and the awesome breakfasts made our stay so enjoyable and relaxing. 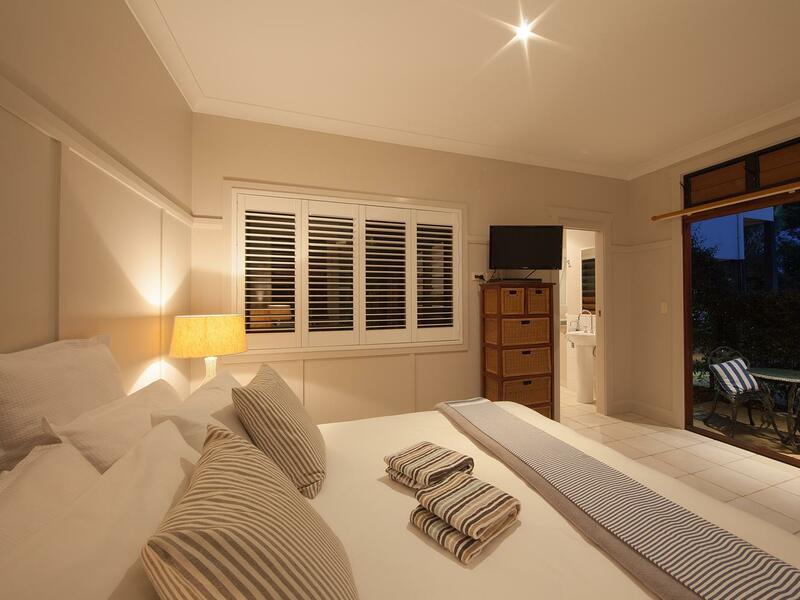 I can highly recommend Cavvanbah Beach house and would definitely stay there again! This place was something amazing. From the location which was a quick stroll to the beach, the privacy of the room, the incredible but subtle hosts and the breakfasts which would easily stretch to a lunch outside on your own private patio. I haven't stayed anywhere where everything had been considered and the final touches were so noticeable. The hosts gave excellent tips on where to head out and were the icing on the cake. Thanks Geoff and Steve. Genuinely is the only place I would ever consider staying in Byron. We had a great stay at Cavvanbah Beach House. Great location, nice room, delicious breakfast!! We will definitely come back. 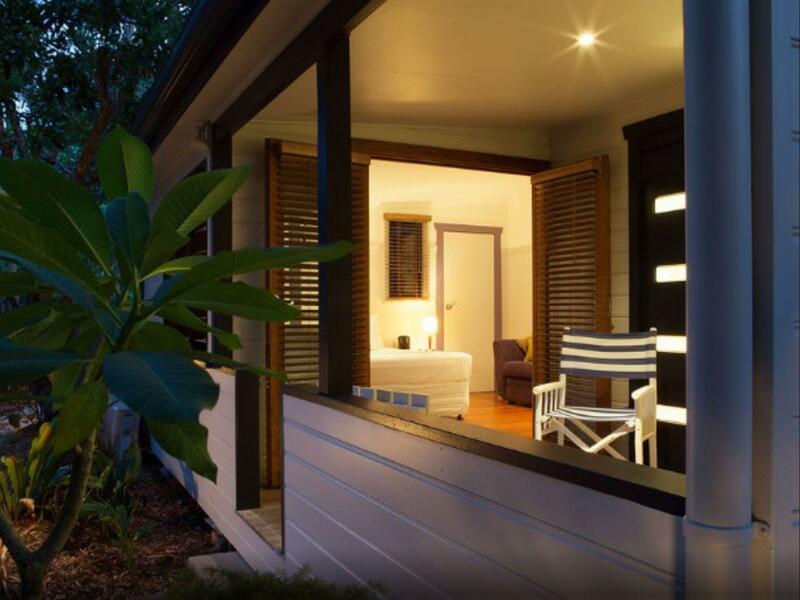 Great place to stay when in Byron! The property, the service, the food. We had a wonderful twelve-day stay at Cavvanbah Beach House. The room was superb; the bed was extremely comfortable and the décor very stylish. It's only a short walk to the beach and relaxing on the beach while watching the sunset is highly recommended. There's plenty to do in the local area, with a wide variety of interesting shops and restaurants. But really, one of the very best features of our stay had to be the Cavvanbah breakfasts! They are truly five star! With locally sourced produce of the very freshest and best quality, and with a different twist every day. We enjoyed wonderful fresh handmade muesli (complete with local macadamias), fresh fruit and a variety of stewed fruits, sourdough breads, smoked salmon, handmade cheeses, and those freshly made muffins are to die for!! You'd definitely need to stay a few days to appreciate the full range of breakfast offerings!! Very enjoyable. Fresh muffins everyday were a treat and the breakfast was delicious. Place was very clean, comfortable, private and loved. Staff were great. Clean room with privacy; the hosts provide an excellent service and yummy breakfast; and the location is great - walking distance to town. We will definetly come back!